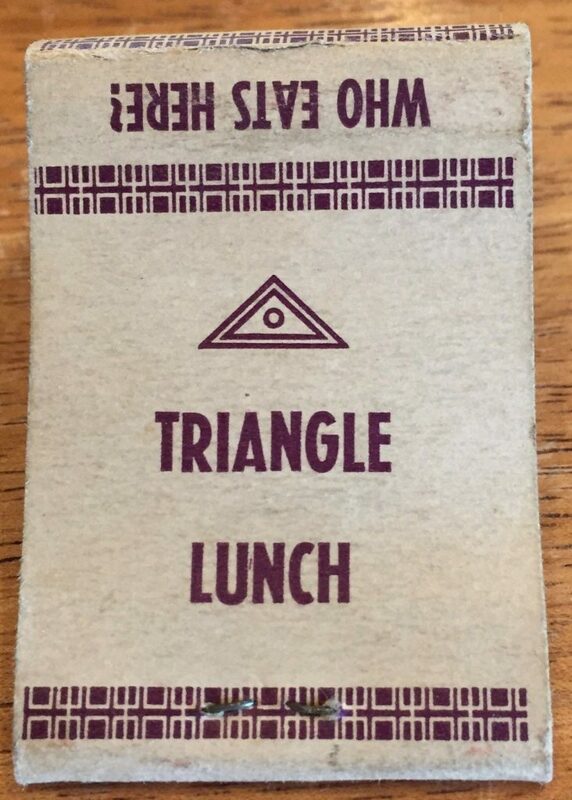 I’m not sure if any of you remember going to the Triangle for lunch, or in my case ice cream cones. As a treat, we would jump in the car and drive up to get chocolate dipped ice cream cones on a hot summer day. The challenge was to eat before they dripped down our arms. 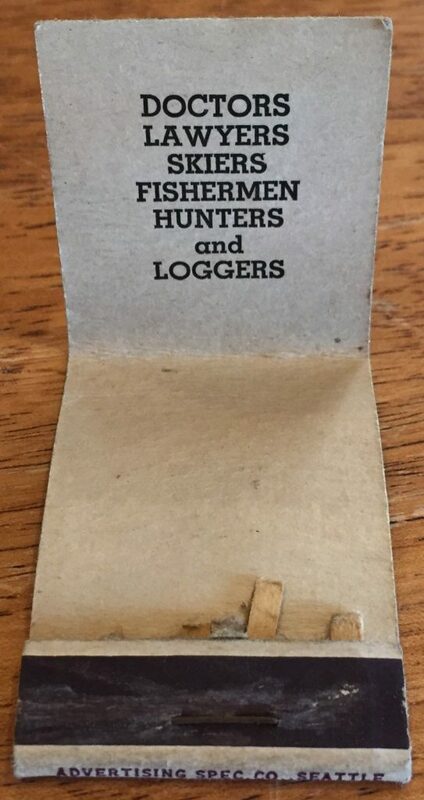 From this old matchbook cover, it looks like the owners were Ivan Casey and Margarett Swanson. There is still remnants of the couple’s house when you drive by (where Eatonville Highway meets Highway 7.) On the right hand side, as you drive away from Eatonville, you will see a small, blue buildings with a dreck front being slowly devoured by trees. If you have any memories of eating there, or of the owners, please share. The owners were my Aunt & Uncle. Ivan Casey & Margarett Swanson. The blue building you see is actually the house they lived in. 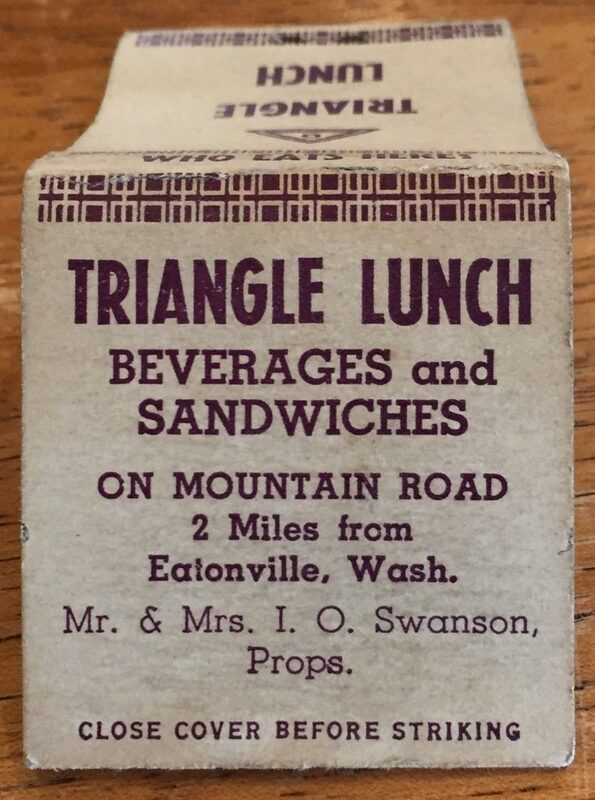 They also at one time owned the Elbe grocery store. Thank you for this. I will make changes to the text. By the way, do you have any photos of the restaurant you would share? I would like to put it up.